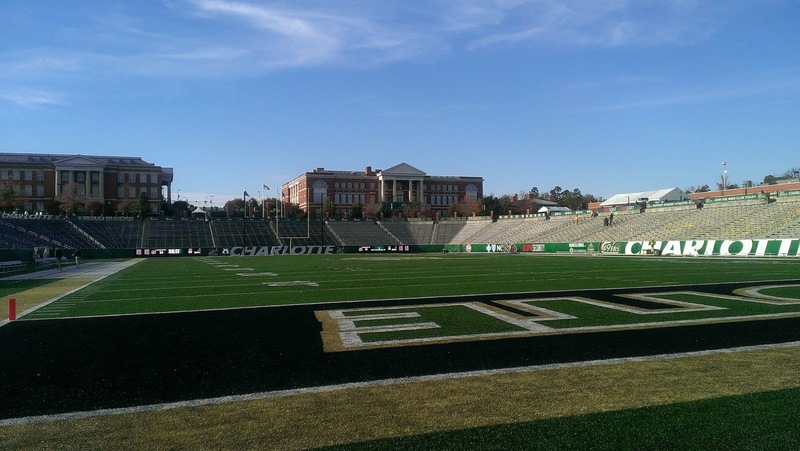 CHARLOTTE – Charlotte exploded for twenty-one points in the third quarter en route to a 40-14 win over Western Kentucky on Homecoming this Saturday at Richardson Stadium. It was the 49ers' second Conference USA win and evened the record on the year at 3-3. Juwan Foggie got the 11,610 in attendance on their feet with an interception and return on the first drive of the game. It was the first of two interceptions for the senior from High Point who also led the team with eight tackles. Benny LeMay punched it in from thirty-five yards out on the next play and Charlotte had its first lead of the game. LeMay finished with 121 yards and added another score in the third quarter. Charlotte's 448 yards of offense were the most against an FBS team this season. On the flip side, the 49ers defense held Western Kentucky to a season-low 256 yards on offense, including only forty-two on the ground. Special teams favored the 49ers as well, as freshman Jonathan Cruz continued his field goal success, hitting tow during the game. Starting quarterback Chris Reynolds was 12 of 19 for 119 yards until an ankle injury in the third quarter sidelined him for the rest of the game. The offense didn't miss a beat, though, under backup Evan Shirreffs who went 5 of 7 for 118 yards and a touchdown. Shirreffs also added a score on the ground on a one-yard sneak. Victor Tucker had nine receptions for ninety-one yards and Rico Arnold had the lone receiving touchdown for Charlotte. Jonathan Cruz's field goal in the first quarter was his seventh straight made field goal, tying the team record. A miss in the second quarter kept Cruz from breaking the record. Charlotte is now 1-1 against Western Kentucky with each team winning at home. The 49ers ruled the time of possession on Saturday with 38:41 versus the Hilltoppers' 21:19. Both teams are Conference USA action next Saturday. Charlotte (3-3, 2-1) travels to take on Middle Tennessee (3-2, 2-0) while Western Kentucky (1-5, 0-2) hosts Old Dominion (1-6, 0-4).